A new high-tech glass manufacturing hub was officially opened at the University of Adelaide yesterday that will focus on the production of new health products. The new manufacturing hub is collaboration between the University and Trajan Scientific and Medical, a global medical equipment company aimed at assisting scientists in the University’s Institute for Photonics and Advanced Sensing (IPAS) and the School of Physical Sciences to commercialise their research into products that ultimately benefit human health and wellbeing. 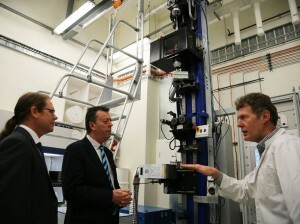 “Trajan’s skills in advanced manufacturing – including processes and systems, quality control, and logistics – combined with our research expertise and facilities will enable transition of research outputs from the University and its partners into commercial manufacturing,” said Professor Mike Brooks, Deputy Vice-Chancellor (Research). The University said the products which would be developed had the potential to be utilised in a wide range of medical and scientific applications including genetic testing, biomarker discovery and detection, environmental analysis, food safety testing, testing for drugs of abuse and therapeutic drug monitoring. 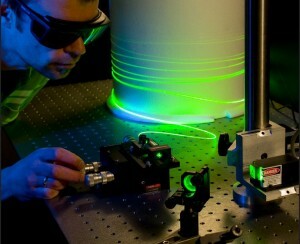 “Trajan’s global operations and customer base, partnered with the international standing IPAS enjoys as a centre of excellence in photonics and specialty glass technologies, means this collaboration will provide an incredible global platform to promote South Australia,” said Stephen Tomisich, Chief Executive Officer of Trajan. The State Government has contributed $346,000 to help set up the new facility. “Health Industries SA and the Department of State Development have played an important role in supporting the University of Adelaide and Trajan in identifying wider opportunities for the company to grow their presence in South Australia. This is a great example of an interstate company recognising the leading research underway in South Australia and setting up premises to tap into that capability and drive greater innovation within their business,” said Minister for Health Industries Jack Snelling. “Technologies like photonics can enhance a firm’s capacity to innovate its products, manufacturing processes, capital equipment, and engineering systems. I’m delighted Trajan has recognised South Australia’s potential as a global centre of excellence for advanced photonics technologies, and I welcome their investment in our state,” added Manufacturing and Innovation Minister Kyam Maher.